Creator Robert Kirkman and artist Paul Azaceta are bringing their successful Skybound Comics/Image Comics series titled Outcast to Cinemax in a new horror TV series. 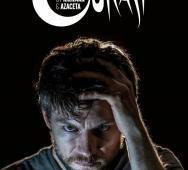 Cinemax’s Outcast Season 1 will focus on demon possession and a man named Kyle Barnes (Patrick Fugit) who has been plagued by demons all his life. Robert Kirkman wrote the script for the first episode and Adam Wingard (You’re Next (2011), The Guest (2014)) will direct. Robert Kirkman has done a fantastic job with zombies, but now he tackles demons, and I cannot wait to see the outcome. Bryan Fuller has released the latest update on Hannibal; Netflix and Amazon both said no to picking up the Hannibal TV Series. Ouch! Fuller remains hopeful that there are other avenues to pick up Hannibal. Hulu might be an option, but Hulu is part owned by NBC, who is making this their final Hannibal season. FX and A&E might be the next possible avenues, heck maybe even the El Rey network or even Syfy. Just speculating right now but we will keep you posted on new developments. Who is not stoked to see Starz’s Ash vs Evil Dead TV series? Today we have 2 new photos; both with Bruce Campbell as Ash and it looks like before and after stills of major Evil Dead carnage involving Deadites. 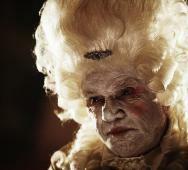 Sam Raimi, Bruce Campbell along with Ivan Raimi are all attached to the new horror TV series. 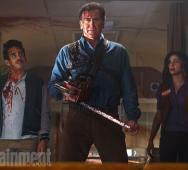 Cast in Starz’s Ash vs Evil Dead Season 1 is Bruce Campbell, Ray Santiago, Lucy Lawless, Mimi Rogers, Jill Marie Jones. In another awesome video from Bat in the Sun - Super Power Beatdown we have Joker & Harley Quinn vs Deadpool & Domino. You are in for a brutal fight to the death. Joker and Deadpool take some time out to watch the girls duke it out. I love all the comic references and the acting was really good. This has to be one of Bat in the Sun’s best beatdown video. When DC Comics and Marvel collide, it is beautiful. You need to see this now! 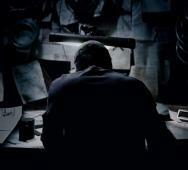 Mike Diva brings us terror in this gothic horror short titled Thresher that is very H.P. Lovecraft, Stephen King and Clive Barker terrifying. We see a man (Nick Gregorio) trying to get into a locked room that is held in an old Victorian style house. This man learns the hard way that some doors should not be opened. Thresher was one of the top five finalists in the “House of Horrors 2014” competition held by Guillermo del Toro and Legendary Entertainment. Make sure you check out this horror short because it is scary good! Today we get to see the Necronomicon from Star’s Ash vs Evil Dead TV series. The Necronomicon is the Book of the Dead and everything looks befitting, These 3 photos show some key art that equates to 6 pages from the Necronomicon. I do not think these are the dreaded pages which could summon the Deadites but I would tread lightly. Ash Vs Evil Dead will be at the San Diego Comic-Con 2015 on Friday July 10, 2015, Room 6A during 6 - 7 PM. Cast in Ash vs Evil Dead is Bruce Campbell, Chris Albrecht, Ray Santiago, Dana DeLorenzo, Lucy Lawless with Sam Raimi and Ivan Raimi also attached to the horror TV series. Tim Miller‘s Deadpool (2016) has a lot of fans eager for any bit of Deadpool movie news and today we have a new photo of Deadpool. 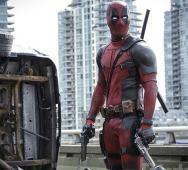 Deadpool (Ryan Reynolds), the Merc with a Mouth, looks awesome in the new photo with his trademark dual pistols. Deadpool releases in movie theaters on February 12, 2016. It is rumored that Hugh Jackman may make an appearance as Wolverine. Also starring in Deadpool are TJ Miller as Weasel, Gina Carano as Angel Dust, Brianna Hildebrand as Negasonic Teenage Warhead, Morena Baccarin as Copycat and Ed Skrein as Ajax. 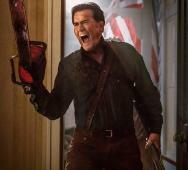 We finally get to see Bruce Campbell as Ash Williams in Starz’s Ash vs Evil Dead TV Series. Alongside Ash are fellow cast members Pablo Simon Bolivar (Ray Santiago) and Kelly Maxwell (Dana DeLorenzo). EW’s Dalton Ross also talked to Sam Raimi about what happens in the horror TV series and Raimi shared that Ash will once again bring evil Deadites into our world but is still a really good monster fighter. Bruce Campbell also declared that Ash vs Evil Dead is “The Searchers with carnage and mayhem.” The 10-episode TV series based on The Evil Dead franchise is currently in production in New Zealand. 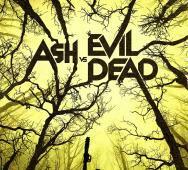 Season 1 of Ash vs Evil will also star Lucy Lawless as Ruby who is a mysterious figure believing Ash to be the cause of the Deadites. Bruce Campbell looks great and I cannot wait to see the new TV series air in Fall 2015. 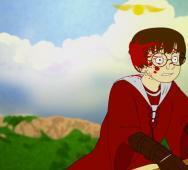 Ever wondered what an R-Rated Harry Potter would look like? The Fine Brothers have released what is to be a web series filled with multiple re-imaginings of popular movie franchises. This video is filled with gore, blood and brutality… it is awesome! Check it out and tell us what you think. This was created for a few laughs so if you have no humor, this may not be for you. Everyone else, enjoy! Reaver was the winner of the Best Sci-Fi Short at the FilmQuest Film Festival 2015. Len LoBiondo directed the amazing short film and blew a lot of people away with the story, visuals and overall awesomeness of the film. A father (Richard Burgi) mysteriously disappears while a brother and sister look to confront this malevolent supernatural entity. Watch the short film and tell us what you think of it. 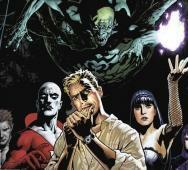 Guillermo del Toro is no longer attached to Justice League Dark and Warner Bros. just pushed the movie to New Line Cinema; wait… what just happened here? Firstly, del Toro is busy with Pacific Rim 2 (2017) and Crimson Peak (2015) as well as the latest Hellboy 3 coming soon tease. Secondly, Warner Bros. is focusing on their top-tier DC Comics characters like Batman, Superman, Wonder Woman and the Justice League movies that they have moved the lower-tier characters like Constantine, Jason Blood, Zatanna and Deadman to New Line Cinema. At New Line Cinema, these movies will most likely receive a smaller budget. 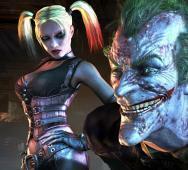 This also includes Vertigo Comics’ Sandman movie which is to be directed by and starring Joseph Gordon-Levitt. This is bittersweet because the movies will not get the high budgets as before but will still get made at some time so at least there is a win for fans. Sorry we lost del Toro in the process but we can only expect him to do only so much at one time. 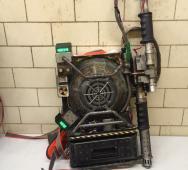 Paul Feig heard my Ghostbusters request, probably others too, and revealed the Ghostbusters proton pack for the web to see. Can’t really tell the depth of these packs but they do not seem that HUGE as the originals did and besides the grit on them, they should be very portable. I would like to see a little more blinking lights, “power-up” lights and “revving up” when in the movie because that was one of the appeals as a child and even to many older fans, all the bells and whistles on a proton pack. Paul Feig’s Ghostbusters (2016) releases in move theaters on July 22, 2016. Cast includes Chris Hemsworth, Melissa McCarthy, Kristen Wiig, Kate McKinnon and Leslie Jones. 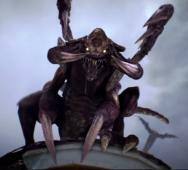 Freddie Wong under his production company Rocket Jump released a new Starcraft short film titled The Rush. The title stems from the “Zerg Rush” term from the highly popular Starcraft from Blizzard. “Zerg Rush” is when one player amasses a rapid amount of units as quickly as possible in order to overwhelm their opponents before they can establish a proper base. Watch as this small human colony gets swarmed by a massive horde of enemies with no way of survival, the short film tells the story of tragedy in a very believable and solid pay, great job Wong. Freddie Wong co-directed this short film with Matthew Arnold with a cast of Ellary Porterfield and Nico David. Simply awesome and Blizzard had better watch this team for future projects. Ron Perlman Hints HELLBOY 3 Starting! Ron Perlman has been rallying fans to get the studios behind financing Hellboy 3 and it looks like it is officially happening, Hellboy 3 lives! Ron Perlman dropped a major hint that Hellboy 3 is finally happening on his Instagram. We all know that Hellboy 3 will not be the same without Guillermo del Toro and he is still “rumored” as the director of Hellboy 3. Hoping Guillermo del Toro frees up some time to finish his Hellboy trilogy. So far, the only other cast member attached to the Hellboy 3 movie is Doug Jones. We will keep you posted on all new developments. The popular horror anime/manga has given birth to a live action movie titled Attack on Titan (2015) aka Shingeki no kyojin: Attack on Titan (2015). 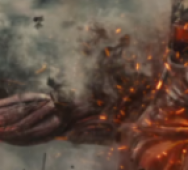 The Attack on Titan movie is set to release in Japan on August 1, 2015. Shinji Higuchi directs the movie and this trailer looks simply… Amazing! Shinji Higuchi will direct the two scheduled Attack on Titan movies on which the Attack on Titan manga creator Hajime Isayama consulted on. That is just the tip of the iceberg, the second Attack on Titan movie will also release in Japan on September 19, 2015… just a month away. I am just jealous about this news but I just have to wait like the rest of you for the US release with hopefully good subtitles or dare I dream, English dubbed movie. In the meantime, watch this trailer and cry because we have a long wait before it reaches the US. Marvel and Sony has announced that Tom Holland will be the new Spider-Man/Peter Parker. Set to direct the new Spider-Man film will be Jon Watts (Clown (2014), Cop Car (2015)). The film still has no official title, currently called Untitled Spider-Man Reboot (2017), but the release date is set for July 28, 2017. Tom Holland is rumored to make his first appearance as Spider-Man in Captain America: Civil War (2016) but that is still yet to be confirmed. What do you think of Tom Holland as Spider-Man? AMC has finally revealed the key art for The Walking Dead Season 6. There are no zombies in this key art. 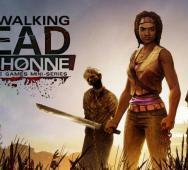 This key art contains all of the remaining survivors. 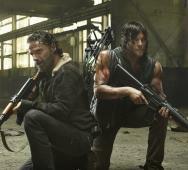 The the left is Rick Grimes (Andrew Lincoln) and his group. To the right is Morgan Jones (Lennie James) and the new survivors. There seems to be some invisible line drawn in the sand. 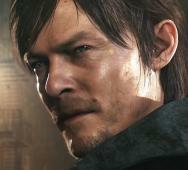 I know we will get lots more revealed at the San Diego Comic-Con 2015. NBC HANNIBAL TV Series Cancelled! 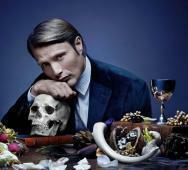 NBC’s Hannibal TV Series has been officially cancelled. There will be no Hannibal Season 4 and Hannibal will conclude with the final 13 episodes of NBC’s Hannibal Season 3. Season 3 premiered on June 4, 2015 with the season finale now turning into the series finale on September 3, 2015. Bryan Fuller’s Hannibal TV series was pretty good once you invested the time in it. The Hannibal TV series cast included Mads Mikkelsen, Hugh Dancy, Laurence Fishburne, Caroline Dhavernas, Glenn Fleshler, Gillian Anderson, Joe Anderson, Tara Mae Thornton, Richard Armitage and Nina Arianda. Fuller has high hopes that another network will pickup Hannibal in the near future. RIP Hannibal, it was a good run and I hope the series finale is epic. 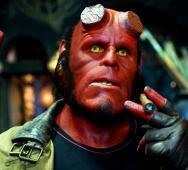 Ron Perlman Talks HELLBOY 3 Story - Says It Is Mind Blowing! Ron Perlman recently went on to say that the story for Hellboy 3 (Hellboy III) is mind blowing. The entire story is in director Guillermo del Toro‘s mind and del Toro has discussed much of it with Perlman for Perlman to warrant it “Mind Blowing!” Ron Perlman is rallying the Hellboy fans and now it is all up to the studios and del Toro to sit down and flesh things out. The biggest issue here is that del Toro has so many things going on right now that he literally has no time. We know the fans want to see the Hellboy trilogy end the proper way and del Toro plus Ron Perlman are psyched to do it BUT there is only so much del Toro can do as ONE man in the horror industry at-a-time. It WILL happen, just WHEN is the issue. Michael Myers HALLOWEEN RETURNS Starts Production! The new Michael Myers film, 11th Halloween movie titled Halloween Returns, starts production July 2015. Dimension Films and Trancas International Films have teamed up to bring a new “recalibration” of the popular franchise that should return the franchise to it’s past glory. Set to direct is Marcus Dunstan who also co-wrote the script with Patrick Melton. No stars have been announced yet but we will keep you posted once they do. PARANORMAL ACTIVITY Virtual Reality Video Game in 2016!? Paramount Pictures has joined with Beast Media Group to bring Paranormal Activity fans what they always never knew they wanted… the Paranormal Activity virtual reality video game. Virtual reality (VR) has had so many downs more than ups and I cannot imagine Paramount Pictures making the plunge into the gaming realm on something so shaky. I imagine a lot of money was passed around the table but I kid you not, I want this game to be great. It would be awesome that after so many years, the first best virtual reality game would be a Paranormal Activity game. The Paranormal Activity VR game is scheduled to release in 2016 for the HTC Vive, Sony’s Project Morpheus, Oculus Rift, PC, mobile, Xbox One and PlayStation 4 (PS4). That is certainly a lot of systems to perfect the gamer experience for. San Diego Comic-Con 2015: The Walking Dead / Fear The Walking Dead Hall H Panels Confirmed! 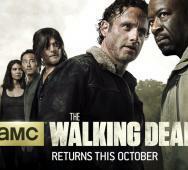 AMC officially announced that both The Walking Dead and Fear the Walking Dead will have Hall H Panels present at the San Diego Comic-Con 2015. Confirmed cast members attending include Andrew Lincoln, Norman Reedus, Steven Yeun, Lauren Cohan, Danai Gurira, Melissa McBride, Chandler Riggs, Michael Cudlitz, Lennie James and Sonequa Martin-Green. Also attending are Executive Producer and Showrunner Scott M. Gimple, Executive Producer Gale Anne Hurd, Executive Producer Robert Kirkman, Executive Producer, Director and Special Effects Make-up Supervisor Greg Nicotero and Executive Producer David Alpert. Chris Hardwick from “Talking Dead” will moderate the event. Showtime PENNY DREADFUL SEASON 3 Confirmed! Showtime has revealed that they are officially renewing Penny Dreadful and there will be a Penny Dreadful Season 3. David Nevins, President of Showtime Networks Inc. made the announcement and I bet Penny Dreadful creator, writer and executive producer John Logan must have been thrilled. Main characters played by Josh Hartnett, Timothy Dalton and Eva Green will be around for at least one more year. I am doing a good job keeping up with the current Penny Dreadful Season 2 and it sure has been getting increasingly better with every new episode. Read the official Showtime press release below and do not forget to comment below. 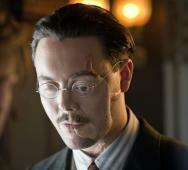 Former lead actor of The Crow Remake, aka The Crow (2016), Jack Huston has just left the movie altogether. The new movie is about to start production in a few weeks but Huston left due to “scheduling conflicts”. Seems pretty weird that this was only now determined but maybe I am speculating too much. Director Corin Hardy seemed unfazed by the news simply stating that a new lead actor will be cast in the coming weeks… more fish in the sea I guess. It is reported that Jack O’Connell and Nicholas Hoult are possible replacements. 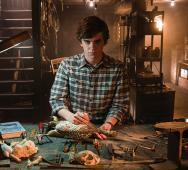 A&E officially confirms they have ordered Bates Motel Season 4 and Bates Motel Season 5. Norman Bates (Freddie Highmore) and Norma Bates (Vera Farmiga) will be returning to deliver more American Psycho fun in the future, hopefully Norma will be confirmed as the official cast. Serial killer Norman Bates played by Highmore has been really good and I am excited, I just have to catch up with the rest of Bates Motel Season 3 first. Production will start later this year and catch this, the press release even states that they “will air over two seasons, starting in 2016.” That is right, they say over TWO seasons more for Bates Motel. 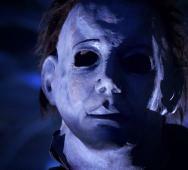 Dimension Films and Trancas International Films have confirmed that Michael Myers is back in Halloween Returns! Marcus Dunstan is set to direct Halloween Returns. This Halloween movie is said to be a standalone film. Malek Akkad is set to produce the new film and is actually the son of the Halloween franchise producer Moustapha Akkad. They have stated that this Halloween film will not be a remake, reboot or reimagining but a “recalibration” of the Halloween series. 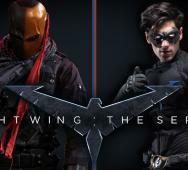 Awesome Complete Nightwing Web Series Season 1! That is right folks, the Ash vs. Evil Dead panel is coming to the San Diego Comic-Con 2015. Present at the panel will be Bruce Campbell, Sam Raimi, Lucy Lawless and Rob Tapert. Starz’s Ash vs. Evil Dead TV Series is currently in production in New Zealand set to premiere this Fall 2015. Starz’s Ash vs. Evil Dead Season 1 will contain 10 episodes of pure awesomeness! Oh, I need to see some new promos for this horror TV series soon or I might have to make an unexpected trip to New Zealand soon. Horror legend and icon Sir Christopher Lee has passed away Sunday June 7, 2015 at the age of 93. This is sad, terrible and horrible news. Sir Christopher Lee’s wife only released this news recently because she first wanted to notify all family and friends first. Lee was hospitalized in London recently for respiratory problems but passed away due to heart failure on Sunday June 7, 2015. 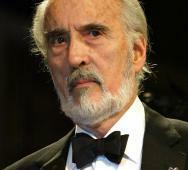 Sir Christopher Lee, born May 27, 1922 has nearly 300 films to his acting career besides his heavy metal music. Lee started acting in the 1940’s where he met Peter Cushing during The Curse of Frankenstein in 1957. Cushing and Lee became life long friends. Other highlights of his career are from The Lord of the Rings, Star Wars: Episode II & III, James Bond’s The Man with the Golden Gun (1974) or his many great roles as Dracula in various Hammer Films. Sir Christopher Lee will be missed by many generations of fans including myself. FOX’s X-Files Revival Season 1 has started production and today we have a glimpse at Dana Scully (Gillian Anderson) and Fox Mulder (David Duchovny) via the X-Files Twitter account. Are you ready and stoked to see the return of X-Files on January 24, 2016? The behind-the-scenes photo features the differences between the two characters beautifully and I know they have a lot to catch up on. 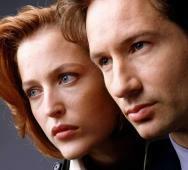 I just don’t see Mulder (Duchovny) the same since Californication but I would have loved to have seen a little of that character in X-Files, that no where fits in the world of X-Files but it would have been the pinnacle of excellent writing. The “Amateur Night” segment was definitely one of my favorites in the entire V/H/S franchise and I remember saying, right after watching, I wish there was more. Good news it that there will be. Director Gregg Bishop and Chiller TV are putting together a full feature film adaptation of “Amateur Night.” Bishop has many other films under his belt like “Dante the Great” from V/H/S Viral (2014) and Dance of the Dead (2008). Gregg Bishop‘s Siren (2016) will release somewhere in 2016 and I hope they give more info on the monster and the purpose for which it kills people. Roland Emmerich‘s Independence Day 2 (2016) first concept art has the “Mother Ship” at large proportions… I mean it looks larger than the Earth itself. 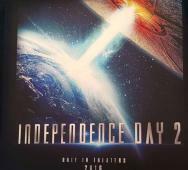 Independence Day 2 (2016) releases in movie theaters on June 24, 2016 so we have a bit of time for more teases in the near future. Cast in Independence Day 2 are Jeff Goldblum, Vivica A. Fox, Jessie Usher, Liam Hemsworth, William Fitchner, Maika Monroe and Bill Pullman. 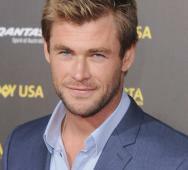 Paul Feig‘s Ghostbusters (2016) has added Chris Hemsworth to the cast as the Receptionist. Paul Feig’s upcoming Ghostbusters film is going to be a comedy sci-fi film and this is hilarious news, Thor answering the phones. Paul Feig’s Ghostbusters will be an all female Ghostbusters cast (Melissa McCarthy, Kristen Wiig, Kate McKinnon and Leslie Jones) so I guess it seems fitting that the receptionist should be male. Paul Feig’s Ghostbusters releases in movie theaters this upcoming July 22, 2016. Jon Bernthal to Play The Punisher in Netflix's Daredevil Season 2! 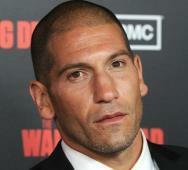 Jon Bernthal (AMC’s The Walking Dead TV Series) will be The Punisher in Netflix’s Daredevil Season 2. Movie stars who have played Marvel’s The Punisher have included Dolph Lundgren, Thomas Jane and Ray Stevenson. The Punisher will help Daredevil (Charlie Cox) clean up New York City’s Hell’s Kitchen, no matter the lethal results. Marvel’s Head of Television Jeph Loeb had great things to say about Jon Bernthal as The Punisher. Bernthal killed the role as Shane on AMC’s The Walking Dead so I know he will bring something ideal to Daredevil Season 2. 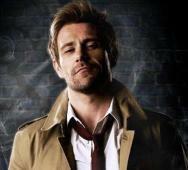 Constantine TV Series is Cancelled Officially! 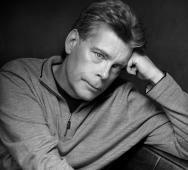 Stephen King‘s The Stand book is 1,100 pages long so with that much source material we know we need a big lead up into the meat of The Stand’s Remake feature film. With that being said, in-the-works right now is an 8-part miniseries that will provide a lead into Josh Boone‘s The Stand Remake which is going to be 3 hours long. 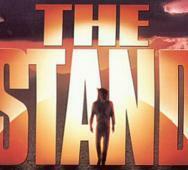 By in-the-works we mean that Warner Bros. and CBS Films are currently negotiating with Showtime to develop the The Stand miniseries. If the miniseries gets the final approval, Josh Boone will helm the miniseries too making one giant unified vision for The Stand. Filming could begin as soon as early 2016. This all spells 11 hours of material for fans and that is excellent. Roy Lee and Jimmy Miller are set to produce The Stand Remake feature film with some kind of association speculated with The Stand miniseries plus Stephen King will be involved in both as well. Netflix's Daredevil TV Series Finds Bullseye! Marvel TV has just kicked their actor roster right up by nearly closing the deal with Jason Statham as Bullseye for Netflix’s Daredevil Season 2. It would be awesome to see Statham as Bullseye when Netflix’s Daredevil Season 2 premieres on May 2016. Production starts this July 2015 so we should hear the final verdict on whether Statham will be the official Bullseye soon. The San Diego Comic-Con 2015 is coming soon (July 9, 2015 to July 12, 2015) and we now have the FOX TV Panels announced which include American Horror Story: Hotel, Scream Queens and Damien. 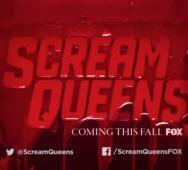 Those attending will also be the first to see the Scream Queens: World Premiere Screening. Full details below in the official press release so check it out. 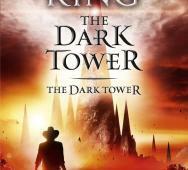 Director Found for Stephen King's The Dark Tower Movie!? Stephen King‘s The Dark Tower movie has been in talks but we now have an official director announced as a prime candidate… Nikolaj Arcel. This is the very early stages but Sony Pictures Entertainment and Media Rights Capital will begin negotiations with Arcel soon and the good news is that Arcel is a huge Stephen King fan. It is reported that Arcel taught himself English so he could read the Stephen King books himself. Arcel will direct The Dark Tower movie and another one of his duties would be to rewrite the first screenplay by Akiva Goldsman and Jeff Pinkner (also executive producing). They will not be looking to condense the source material as the first feature film will focus on Stephen King’s The Dark Tower I: The Gunslinger, with Roland of Gilead and Jake Chambers, the Kid from Earth. No casting announcements have been made yet but the feature film will have a companion TV series in the Dark Tower TV series also from Media Capital Rights. So what were are the new Netflix horror movies added recently? Recently Netflix Instant VOD added The Burbs (1989), Dead Snow (2009), The Island of Dr. Moreau (1977), The Others (2001), Out of the Dark (2014), Pet Sematary (1989), Kidnapped (2010), Pet Sematary 2 (1990), Repo! The Genetic Opera (2008), Troll (1986), Troll 2 (1990) and Would You Rather (2013). That is right, a whopping 12 horror films were added in this past update. All I would see are worth watching at least once and many worth watching again for the fun of it too. Dwayne Johnson in Big Trouble in Little China Remake!? Dwayne Johnson (WWE’s The Rock) is on talks to take the role of Jack Burton (originally played by Kurt Russel) for John Carpenter‘s Big Trouble in Little China (1986) Remake. I know Johnson has been nailing a lot of his roles lately but I am not sure he will pull off a nice copy of Kurt Russel’s performance so he has to make this role his own. Not sure how he will tackle the role but I am on board to see. Ashely Miller and Zack Stentz (Thor (2011), X-Men: First Class (2011)) are set to write with John Carpenter’s role in the air, maybe he will play a role in production because I do not think he will return to direct. 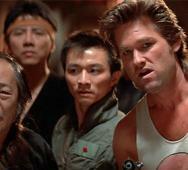 What do you think about Dwayne Johnson as Jack Burton in the Big Trouble in Little China Remake? 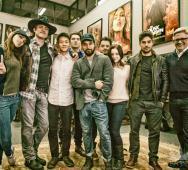 El Rey‘s From Dusk Till Dawn Season 2 finally has a release date announced for August 25, 2015. I know many of you, like myself, cannot wait to see what develops in the new season of From Dusk Till Dawn. Robert Rodriguez recently announced the addition of Danny Trejo and we got to see a photo of Danny Trejo as The Regulator. Leave a comment on how you think they will make the vampires scarier this season. 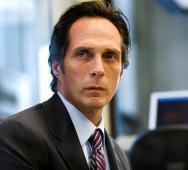 William Fichtner Joins Independence Day 2! William Fitchner joins Roland Emmerich‘s Independence Day 2 (2016) cast already including Jeff Goldblum, Vivica A. Fox, Bill Pullman, Jessie Usher, Liam Hemsworth and Maika Monroe. In the Independence Day Sequel (2016), Fitchner plays a “top general” with a very important role in future sequels. The “powers that be” are looking to make another 2 films after the release of Independence Day 2. I am stoked to see Fitchner in the franchise because he is a very accomplished actor with a lot to bring to the film.